Consumer Reports yanked the “Recommended” imprimatur for Surface devices — but Microsoft’s service should be sent to the woodshed, too. You’ve undoubtedly seen the news, first reported by Reuters, that Consumer Reports doesn’t like the Microsoft Surface line, removing the “Recommended” mark from all of its Surface machines. But the manifest hardware, firmware and driver problems are only a small part of the problem. What sticks in my craw, time after time, is Microsoft’s unwillingness to acknowledge problems or help customers when it’s clear their product is at fault. Due to its comparatively higher breakage rate, Microsoft laptops cannot be recommended by Consumer Reports at this time. These conclusions are based on our breakage rate estimates for laptops by the end of the 2nd year of ownership, gathered from subscribers' experiences with 41,304 laptops purchased new between 2014 and the first quarter of 2017. Our statistical model estimates breakage rates for laptops not covered by a service contract and accounts for the number of hours of use per week. Likely the difference comes from competing definitions of “tablet” and “laptop.” We can argue about definitions, but the fact remains that Consumer Reports implies it surveyed owners of Surface Pro 3 (released June 20, 2014) and Surface Pro 4 (Oct. 26, 2015) machines, but not Surface Pro 2017 (May 23, 2017). It seems to imply that the survey included Surface Book (also Oct. 26, 2015) but not the Surface Laptop (June 15, 2017). If you’ve been following my coverage of Surface machines for the past two years, it shouldn’t surprise you to know that the Surface Pros have endured endless waves of problems. The Surface Pro 3 had 10 firmware/driver updates in its first six months, with a dozen more since then. There was the Simplo batterygate fiasco which triggered a class action lawsuit, a second battery problem, and a bewildering array of freezes, blue screens, and other anomalous behavior. The Surface Pro 4 had nine firmware/driver updates in its first six months (depending on how you count), and 16 or more since then. Most recently, the undocumented driver update that broke Windows Hello on Surface Pro 4 last month was corrected by a documented driver update a few days later. The Surface Book had 11 firmware/driver updates in the first six months and a dozen more since then. Do you detect a pattern? 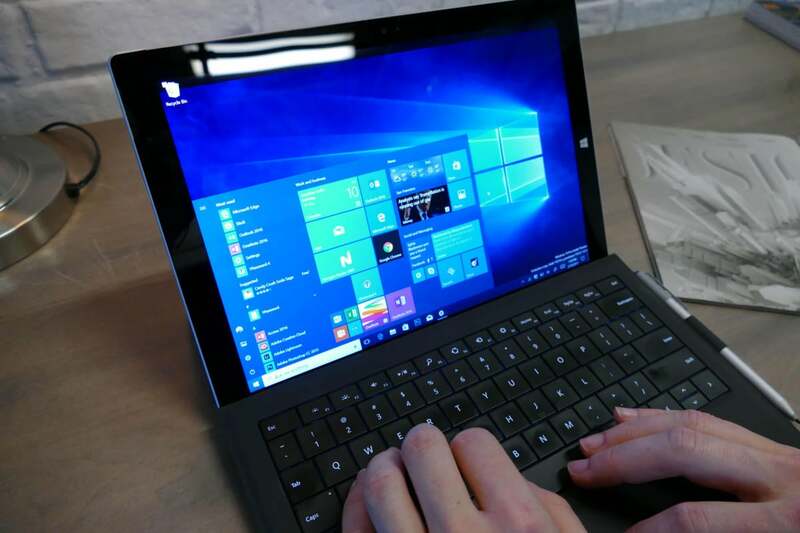 Excessive firmware and driver problems have only been exacerbated by Microsoft’s execrable treatment of its Surface customers. Time after time after time — most recently this morning — complaints lodged on Microsoft’s own support forums have met with stony silence. Sometimes, months after the fact, Microsoft admits that there was a problem. Frequently, there’s no acknowledgment, no fix, and nothing but the support of other customers to drive away the wolves. Microsoft loves to say these problems only hit a “small number of devices.” That may well be true, but when the problems hit and hit and hit, we’re looking at death by a thousand cuts. Yes, I know. You own a Surface 2-in-1 or laptop, and it’s the best computer you’ve ever had. I hear that all the time: My machine’s great, same with everybody I know, so what’s your beef? I understand you’re among the lucky 75%. But the other 25% have just blown the lid off Microsoft’s “small number of devices” assertions. So much so, that Consumer Reports now lists Microsoft’s Surface as the least reliable laptop. You can choose your own definition of laptop. It pays to listen to your customers, eh? Join us for commiseration on the AskWoody Lounge.